What have I been up to since my last thrilling career update? Why was there a bit of an interruption in content creation during the summer? Where has all the old content gone? 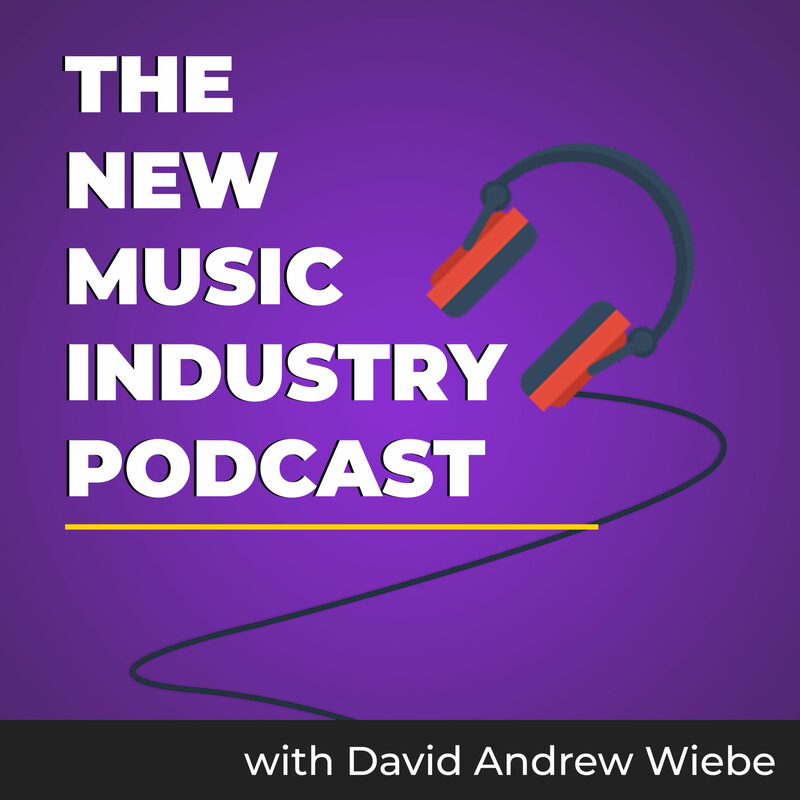 All this and much more in the latest episode of The New Music Industry Podcast. 01:00 What’s new since last time? As I sit down to record this podcast episode, I’m at an undisclosed location just outside of Calgary. I’ll be here for two weeks, looking after my folks’ home as well as their mini poodle. It’s been two months since my last career update, and there is a good reason for that. It’s also been about two months since my last podcast episode, and for very similar reasons. 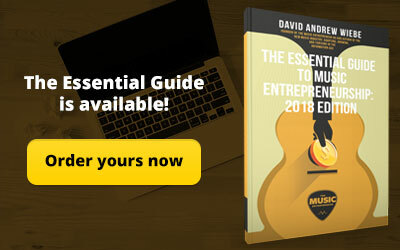 If you’ve found your way over to musicentrepreneurhq.com and not dawcast.com or musicentrepreneurbook.com – both of which now forward over to the new site – then you already know that there have been several new blog posts, videos, and other developments at the new domain. But in case you’re out of the loop, or if you had assumed I dropped off the face of the planet, I thought you should know where to find the latest and greatest. What’s new since last time? So you might be wondering why updates were kind of patchy during the summer. I’ve gotten myself back on a regular publishing schedule in the last two or three weeks, but prior to that, there was a bit of a dry spell. If you saw my notice on dawcast.com, then you already know that I’ve been working on consolidating several sites. 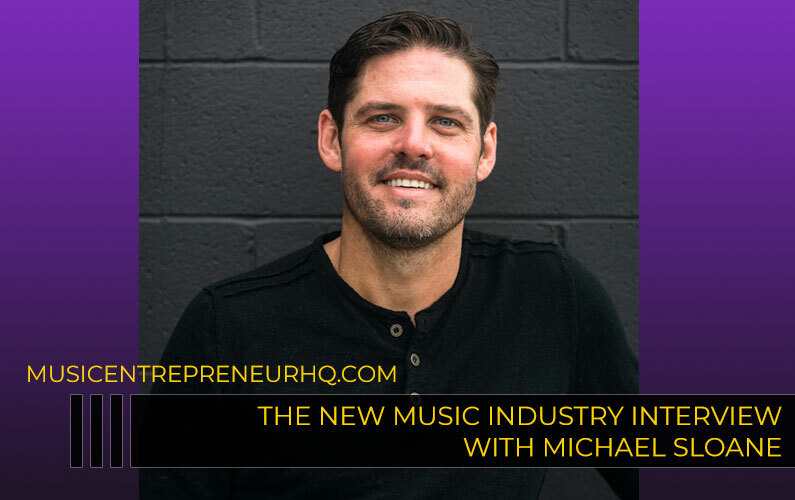 The podcast was over at musicentrepreneurbook.com. The blog content was on dawcast.com. I also had some things to move over from necktiemusician.com. The time had finally come to simplify and unify. I wouldn’t say that this consolidation process is complete, but there’s no point in boring you with the agonizing details of updating broken links, adding in missing images, reworking the site’s design, and so on. I’m not even done with all of that, but I am moving forward with new content and new projects regardless. 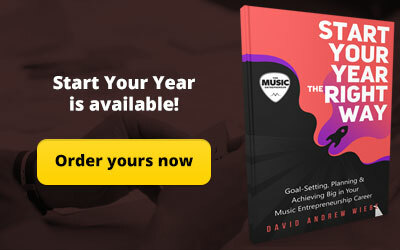 All you really need to know is that you can now find everything at musicentrepreneurhq.com. But you should also know that I’ve removed some of the content from the archives. This is all part of the process I’m going through, in an effort to keep the quality of the content high, and remove anything that’s outdated or irrelevant. For example, you will no longer be able to find the old podcast episodes from DAWCast: Music Entrepreneurship on the site. But don’t worry – I am planning on bundling it all up and making it a convenient download, so hang in there if you were a big fan of the old show. 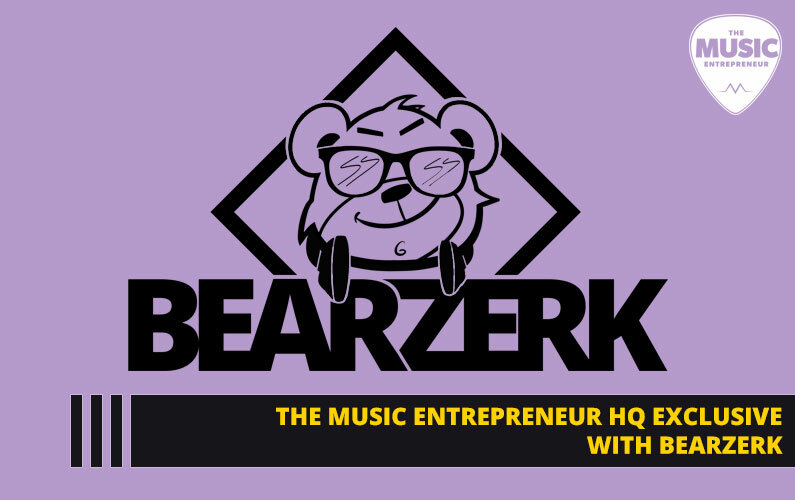 On another note, work has also started on turning The Music Entrepreneur into an online hub for musicians. I’m doing my research and asking musicians just like you what you would expect from a site like mine if it were to be a hub you’d regularly visit and use in your ongoing music career needs. If you’d like to help out, or if you have any thoughts, please send me an email to: david@dawcast.com. Another new item on the site is video. A great example of this is a post called How to Boost Your Post on Facebook for Musicians. You’ll be able to find the link in the show notes. In addition to ScreenFlow or Camtasia style presentations, I’ve also purchased additional gear to be able to do vlog or talking head style videos. A lot of people have been telling me that I should get into video, so moving forward, you can expect to see more video content on the site. You’ll also be glad to know that every podcast episode and video is also a blog post, and every blog post is packed with charts and images, so there will always be lots for you to read, listen to, view, and watch at TME, and you’ll be able to consume the content in any way you like. Finally, I’m going to be putting together monthly resource packs for TME, and the first one is due out towards the beginning of October. Now let’s talk about what’s new with my original music. I haven’t really had the opportunity to talk about my August single yet, so let’s start there. In my last career update, I shared a little bit about “City Lights”, which has been getting some good exposure. Since then, I’ve released “Don’t Wait Too Long”, my first single to have any vocals on it. So far, it doesn’t seem to be resonating with people the same way “City Lights” has been, but I still see it as an important accomplishment in my music career. For a lack of a better way of describing it, it’s an 80s power pop tune, complete with synths, a drum machine, and of course, guitar. There’s also a bit of a synth vs. guitar dual in the solo section that takes the song to a bit of a different place. It’s kind of progressive that way. As with “City Lights”, I’ve been focusing on the distribution of the single as opposed to just the promotion side of it, but my process is starting to get fine-tuned, and this also plays into how I’ve started syndicating and distributing my blog posts, podcast episodes, and videos as well. This system is something I will have to share more about in the future. Before I share that with you, I want to take some time to track and measure its overall effectiveness. But whether it’s making an announcement about your new release, or updating your discography page, I’m sure you have these basics covered already. If not, something you should be creating a release checklist for so you don’t forget. You have to get the fundamentals down before you can move into more advanced promotional strategies. By the time this post goes live, my September single, “Hope”, will also be out. “Hope” is a straight up EDM-inspired pop tune, at least compared to anything else I’ve released to date. I hope you’ll take the time to have a listen to it. As with “City Lights”, “Hope” is an entirely new song that I wrote this year. I still have a huge number of songs in my archives that need to be – and deserve to be – recorded, but I had fun working on something new this time around because I immediately saw its potential. A current-year version. By that I mean any song from the past that you play a little differently today. Basically an updated version of the same song, recorded in its new form. A lot of known artists out there are re-purposing their material in this way, so why not you? 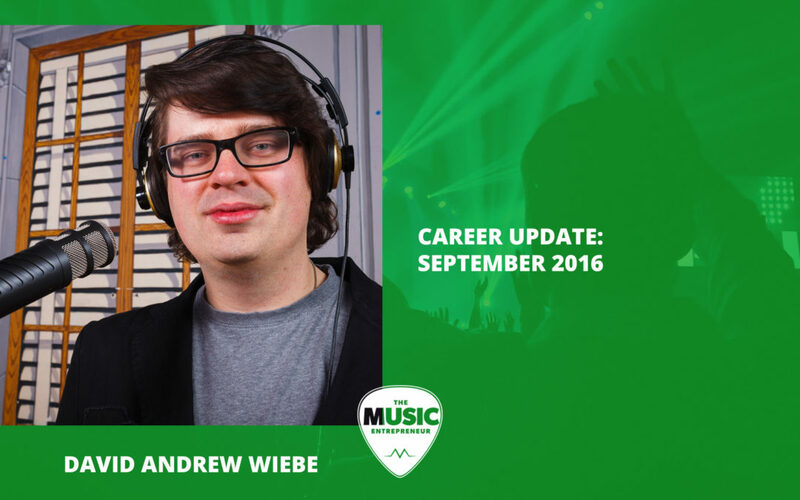 It could broaden the opportunities available to you, whether it’s live performance or licensing and placements. Other than recording singles, I’m also starting to play some “solo” shows again. The main reason I haven’t been pursuing these that much is because I’m playing in other bands, but some opportunities have started presenting themselves again, so I’ve begun adding some solo dates to my calendar. One example is with a community called The Listening Room YYC. We’re holding two different “listening room” events on a monthly basis. One is called The Circle, where I had the chance to perform in September, and I am also on the bill for October. This is a unique singer/songwriter circle in which the participants cover the tunes of the greats (like Bob Dylan or Leonard Cohen), and also add to each other’s original music in some way. The other room is The Classics, where jazz vocalists are backed up by the house band, and they put a spotlight on some of the classic jazz singers, like Julie London or Sarah Vaughan. I’m sure there will be an opportunity to talk more about The Listening Room in a future episode, but that should give you an idea of the kind of shows I’m taking on and helping out with. Of course, I’m still playing with Long Jon Lev and Adrenalize as well. In August, Lon Jon Lev didn’t have a lot of shows, mostly due to everyone’s patchy schedule. But we’ve picked up the momentum again here in September, and we have several shows booked for October as well. Live streaming continues to be a part of our performance schedule, and this has been a lot of fun. Our last major performance was at the John Dutton Theatre, in downtown Calgary. Sean Harley [Tucker] and Mercy Lamola opened for us, which was fun, because Mercy is also a part of Long Jon Lev as a backup vocalist. We were celebrating the birthday of Tucker as well as Long Jon Lev, so this event was a blast, but also a lot of work. We look forward to seeing you at our next theatre/hall/church/community center event. There also hasn’t been much on the radar for Adrenalize in a while, but it’s mostly been a matter of reconfiguring as we prepare for a string of upcoming shows, mostly at movie theatres. Adrenalize has been a significant income opportunity for me over the years, so I’m looking forward to getting out there again and performing. I’ve actually been playing bass with them for a while, but I’ll be circling back over to guitar, and I tend to enjoy that more. There isn’t too much to talk about with regards to the podcast, because as you know, this is the first episode I’ve published since the end of July. What I can say is that I already have another interview in the can, and several more guests lined up for future episodes. In order to make publishing easier on myself, I will be looking at every blog post and video I produce as a potential opportunity to repurpose as a podcast episode. But this doesn’t mean I’ll be doing this with everything. A tutorial video doesn’t necessarily work as a podcast episode because of the visual element, and I don’t think there’s much point in turning a simple news update into a podcast episode either. Although I’m all for repurposing content when and where it makes sense, I’m not going to do it to the detriment of the user, which is you. With that out of the way, let’s talk about how I’m doing with my books. 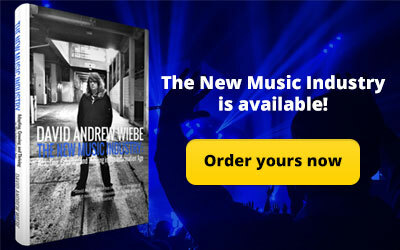 First, I’ll share what’s been happening with The New Music Industry, my first book. Last time I mentioned that I was potentially looking for a promotion service to help me get my book out to more people. I actually got a call from a company called LitFire Publishing out of the blue, and I was in contact with them over the course of a couple of weeks. They told me that my book had been recommended to them, and supposedly, they bring a certain number of books with them to a book conference on a yearly basis where eager publishers are looking to license quality books. To me, that isn’t far-fetched. 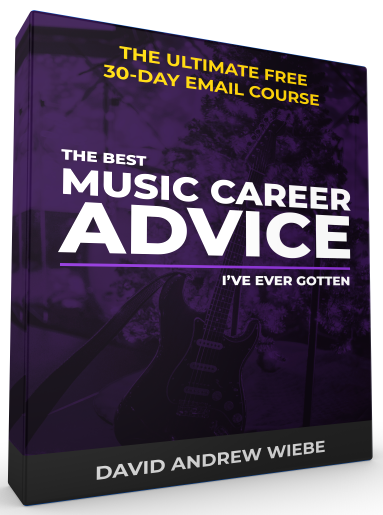 I do think I managed to create a great resource with The New Music Industry. But there were a couple of issues. The first was that they were asking for a lot of money upfront. Naturally, I don’t expect anyone to offer their services for free, but this was clearly not a strategic partnership deal to be hammered out, but rather a sales call. I could have figured out the money side of things if I needed to, so I wasn’t worried about that. But I was concerned that my money wouldn’t be going towards a worthwhile cause. The second issue was that LitFire doesn’t seem to have the best of reputations online. Granted, if you go looking for negative on any company or personality, you can find it. Whether it’s McDonald’s or Mother Teresa, if you’re looking for finding bad reviews or people saying bad things about others, you can find it. But after discussing this potential opportunity with friends and family members, it didn’t seem like the right move to me. I also have an internal barometer for these kinds of things, and I didn’t really feel one way or another about it. I wasn’t excited, and I wasn’t entirely guarded either. So being lukewarm tells me that while the service may be legitimate and good, it might not be the right fit for me. I’ve also been discovering more and more book promotion services, partly because many of them have been following me on Twitter. I didn’t even know that there were that many out there, and it actually makes it a lot harder to choose when you have so many options. I found an interesting post called An Interactive List of 100+ Book Promotion Sites & Free Submission Tool. That kind of intrigued me, and it’s something I might explore. The link will be in the show notes. But at this point I haven’t really decided one way or another. The sales continue to trickle in on their own, but I’m still looking for an opportunity to get the book out to a larger audience. If you happen to know of any services that do good work, I would really appreciate the recommendation. Feel free to email me or leave a comment in the show notes. As for my new book, I’m about halfway done writing it. The working title is Flashes of Elation: Navigating the World as a Sensitive, Creative Soul, and it’s a book for artists and creative people from all disciplines. 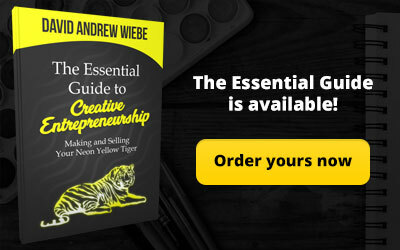 As you can probably tell from the title – which isn’t set in stone – it’s about dealing with a variety of different situations and challenges as a sensitive, creative individual. I’ve also launched pre-orders, so if you’re interested in taking advantage of pre-order bonuses, you’re welcome to go and learn more about pre-orders. You’ll find a link to that in the show notes as well. I’m excited to be releasing a new book, and I will likely be taking a more in-depth look at it in an upcoming podcast episode as well. So that’s what’s happening with the books. Moving right along, here’s where I usually talk about what I’m learning right now. For the first time in a long time, I actually don’t feel like I’m on a major learning curve. I’m being proactive about learning what I need to, and I’m plugging away at a few different books and podcasts, but not necessarily to augment my knowledge or skill set. But of the things I am learning, I would say that the following two are significant. The first is the Blockchain, a financial transaction platform some see as the cure-all for the music industry. I can’t tell you whether or not it will be, but it’s a subject I want to learn about, because it could very well play a bigger part in a lot of transactions and purchases in every industry in the future. Plus, it’s a subject I want to cover on the podcast. The second is sales. I’m not exactly new to the subject of sales, it’s just not one I necessarily took a lot of interest in prior to now. Most books I’ve read by Zig Ziglar or John Maxwell made it sound like a mountain of discomfort I’d never want to subject myself to. And in the age we’re in, I think people respond less to direct call to actions anyway. People want to feel like they’re making their own autonomous decisions when it comes to their purchases, because buying has become an increasingly customized, personal activity. People are open to suggestion, maybe, but not hard selling. The reason I’ve been wanting to learn about sales is because I feel like it’s one of my weaknesses. In building a business, selling is an essential skill. I didn’t really recognize that fact until recently. I’ve mentioned him before, but I’m happy to mention him again. 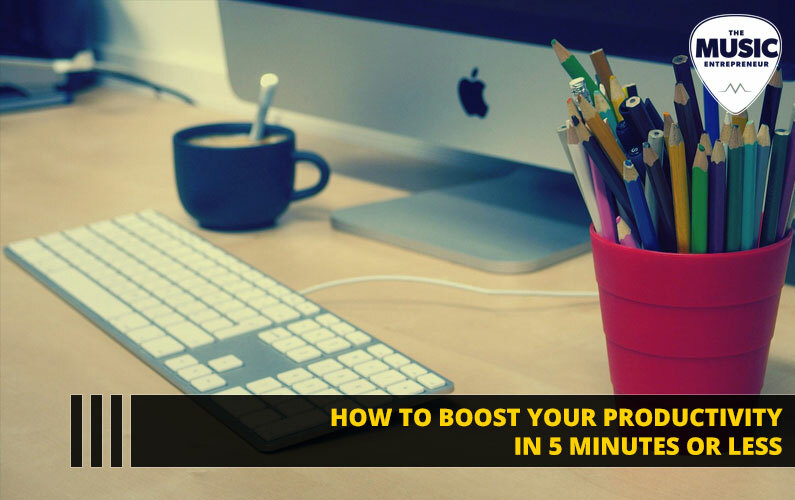 Australian entrepreneur James Schramko has been teaching me a lot about sales through his podcast, and the one I’m listening to right now is Sales Marketing Profit. Again, the link will be in the show notes. I’ve also learned about a few books that have been instrumental in bringing him the results that he has, and I’ve ordered those for myself as well. I think my values match up closely with his, which tells me that I’m plugging into the right resources. I have no intention of becoming a full-fledged salesperson, nor will I ever be a hard seller. But since I am in business, I feel that it’s something I need to be learning about. Finally, let’s talk about what’s next. As I said earlier, I have a content syndication and distribution strategy that’s really coming together, and I’m really excited about it. I know that sounds really geeky, but it’s true. It hasn’t necessarily gotten me the results I’m looking for yet, but over the long haul, I think it will pay off. 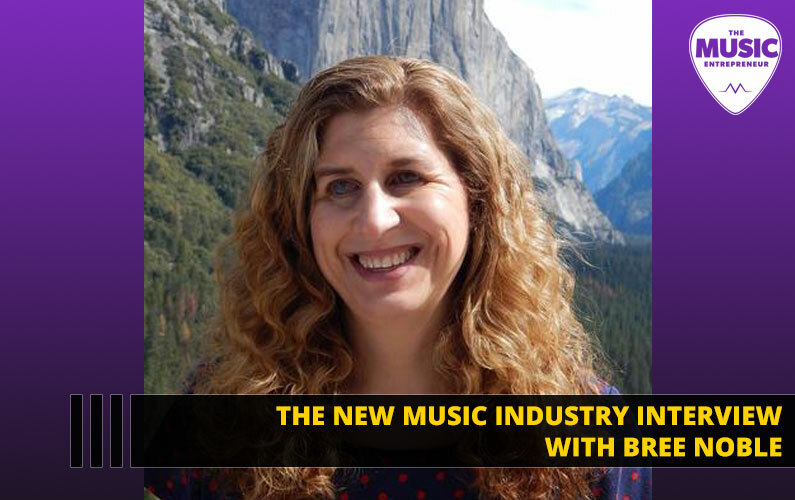 The next big step for TME will be to become an online hub for musicians. A place you come to find the information you need, search for the products you want, discover strategies that can help you in your ongoing career pursuits, and much more. I don’t necessarily know all the steps that I will need to take to get to that point, but I do know what the end goal is, and that’s the most important thing as I consider next actions to take.